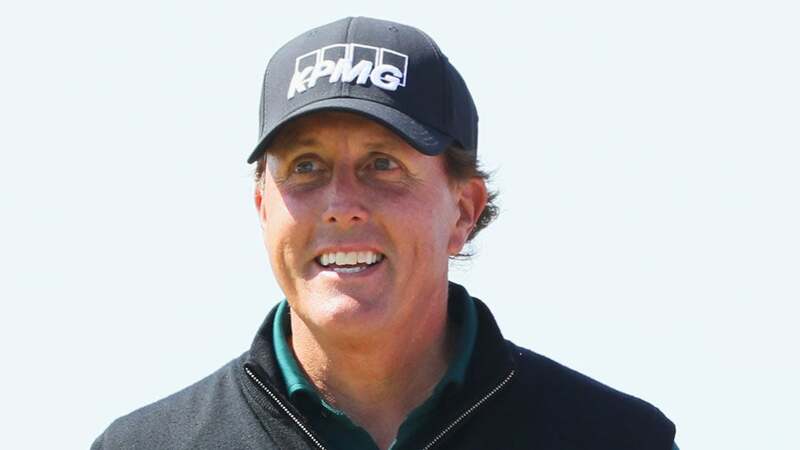 Phil Mickelson is off to a hot start at Royal Troon. The last time Phil Mickelson won a major was in Scotland, at the 2013 British Open at Muirfield. So it's no surprise Phil the Thrill is surging overseas again. Mickelson shot a four-under 32 on the front nine during his opening round of the Open on Thursday at Royal Troon, which is just a shot behind early leader Patrick Reed. He then birdied the 10th to tie the lead. A spectacular wedge on the 123-yard par-3 8th hole might have been one of Mickelson's best shots of the front side, leading to one of his four birdies. You can check out the shot below on the hole known as the Postage Stamp.